shrimp po boy | DidjaEat? My cousin John visited New Orleans for work and tried to jam some good food into his visit. He succeeded! John says “Beignets from Cafe Du Monde. 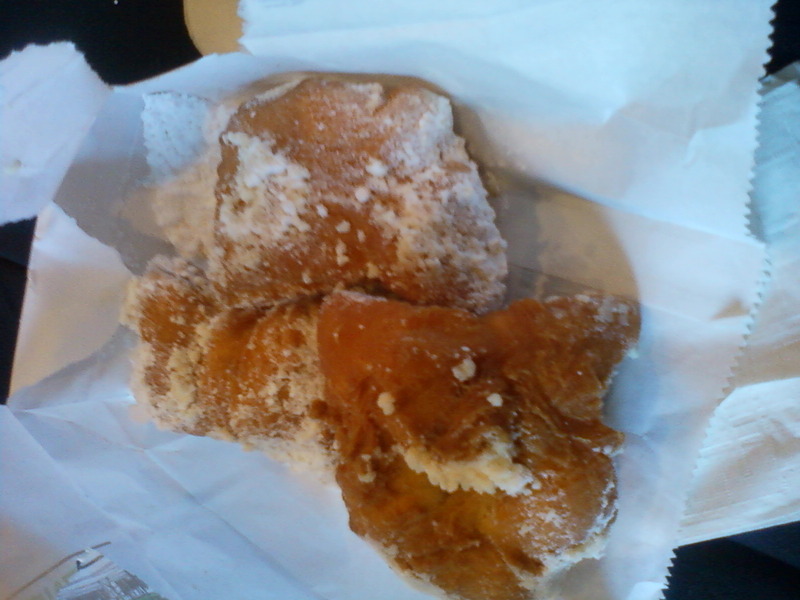 It’s fried dough covered in powdered sugar. It is something good covered in something great; like a monkey in a gold tuxedo!”. I can’t really argue with that. 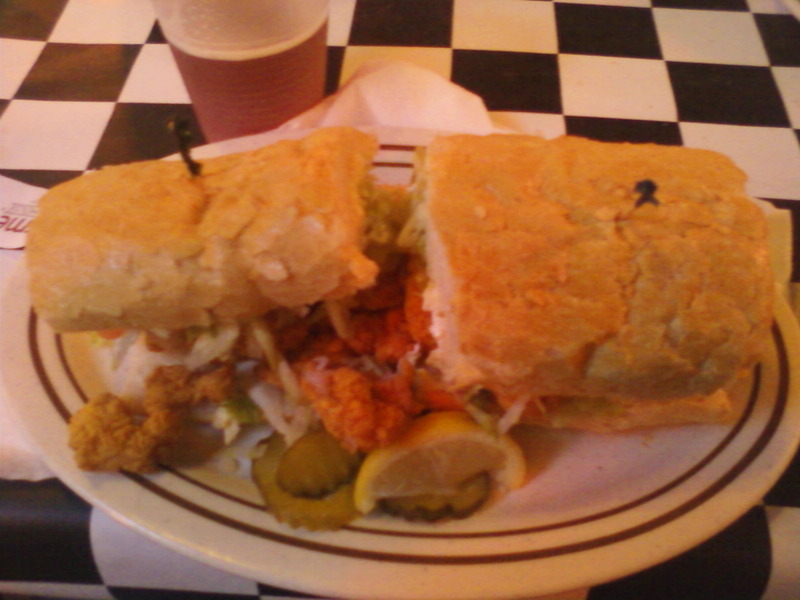 He also sent me a picture of a Po’ Boy he ate there. John says “Po’ Boy from The Acme Oyster House. A shrimp Po’ Boy to be precise.”. John is a man of not many words but he knows some good food when he sees it!